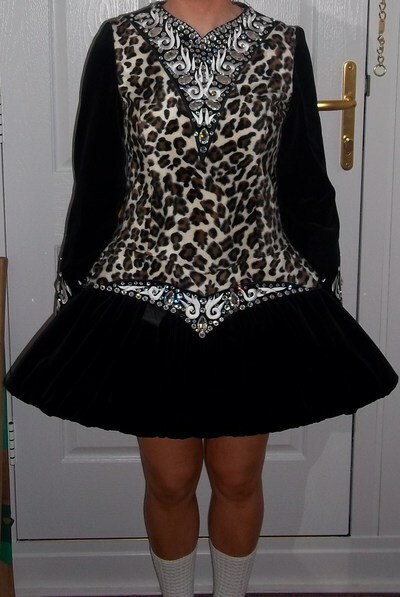 Beautiful Leopard print and black Shauna Sheils dress for sale. Pure white embroidery with loads of swarovski crystals. Very elegant and stands out on stage. Asking Price: £600 + shipping. Shipping costs are not included in the asking price. Sale is final.